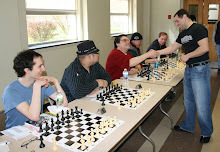 Both sides had winning chances in this game, played yesterday in the New York May Open, at the Marshall Chess Club. 76.Rb1+ Re1 77.Rb2 f2 78.Kg3 Re3+ 79.Kh2 Rd3 80.Rb1+ Ke2 81.Kg2 Rd2 82.Rf1 Ke3 83.Ra1 Kf4 84.Rf1 Ke3 85.Ra1, draw. 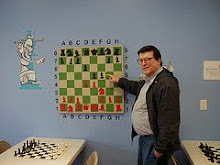 These games were played by me on Saturday, in the New York May Open, at the Marshall Chess Club. 32.Kd4 g5 33.Ke4 h5 34.a3 h4 35.b4 g4 36.c5 g3 37.hxg3 hxg3 38.Kf3 axb4 39.d6 Ke6 40.dxc7 Kd7 41.axb4 bxc5 42.bxc5 Kxc7 43.Kxg3 Kc6 44.Kf4 Kxc5, draw. 53.Nd7 Kb7 54.Nxc5+ Kc6 55.Nd3 Kd6 56.Kb3 Nc6 57.Kc3 Ke6 58.Nb4 Na5 59.c5 Kd7 60.Kd4 Nb3+ 61.Kd5 Nd2 62.Nd3, Black resigns. 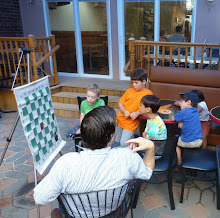 Besides Washington Square, you can also play chess at Greeley Square in Manhattan. Orrin Hudson in "Lexus Magazine"
Recently, Lexus Magazine ran a story on Orrin Hudson [pictured, seated right], who teaches chess through a non-profit educational program and owns a 2009 Lexus ES 350. I'm still driving a Chevy with over 200,000 miles on it! At Contre Gambit Philidor, Frederic Fournier analyzes my game as Black against Kavinayan Sivakumar. Here is an article, in the South Africa edition of Sports Illustrated, on the battle for the FIDE presidency, between Kirsan Ilyumzhinov and Anatoly Karpov. While reading an article yesterday in The New York Times about the 30th anniversary of the New York Islanders winning their first Stanley Cup, I was reminded that today is the 30th anniversary of my attaining the title of national master. Growing up, I followed the New York Rangers. I had little choice. Back then, there were just six teams in the National Hockey League. The Rangers were the only local team. In October 1972, two big events occurred. 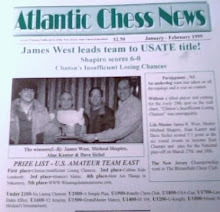 I joined the United States Chess Federation (one month after Fischer took the world championship crown from Spassky), and the expansion Islanders joined the NHL. From day one, there was a special affinity between me and the Islanders. We both started off weakly, gradually improved, and ran into a psychological barrier. For me, I could not achieve a master's rating of 2200. For the Islanders, they could not win the Stanley Cup. I had an additional problem. To the best of my knowledge, no one from my town had ever become a chess master, although one player nearly made it. 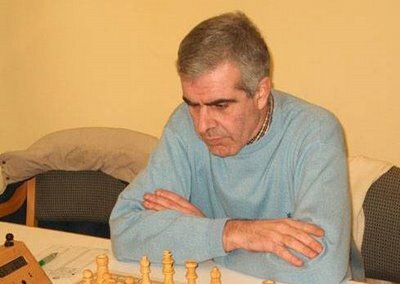 When he quit playing chess, his final rating was 2199! He even petitioned the USCF to award him one rating point, so that he could retire as a master. But his request was denied. I started wondering if the same fate awaited me. Time and again, I tried to crack the 2200 barrier, all to no avail. Then, on a Saturday afternoon in May 1980, I watched on television as the Islanders won the Stanley Cup. Seeing them hoist their trophy in celebration, I said to myself, "If after eight years of trying, the Islanders can win the Stanley Cup, then after eight years of trying, I can become a national master!" 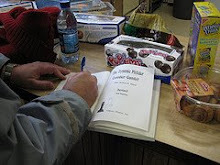 The next day, with new-found determination, I played in a quad at the Marshall Chess Club. Looking at my opponents' ratings and doing mental arithmetic, I figured that if I won all three games my post-tournament rating would be 2201. But my third round opponent was going to be difficult. His rating was above 2300. I defeated my first two opponents and was lucky enough to pick the white pawn when choosing colors for the final round. The game began uneventfully, when the incredible happened! My opponent blundered a rook, for nothing. Surely now, I would become a master. There was one last obstacle to overcome. With 45 minutes on his clock and with ten more moves to make before the first time control at move 40, my opponent went into a deep think for 44 minutes. With a minute left, suddenly he started making moves at a furious pace. Foolishly, I did the same. We rattled off half a dozen moves at lightning speed. I reached to touch a piece for my 37th move and took my hand away at the last second. 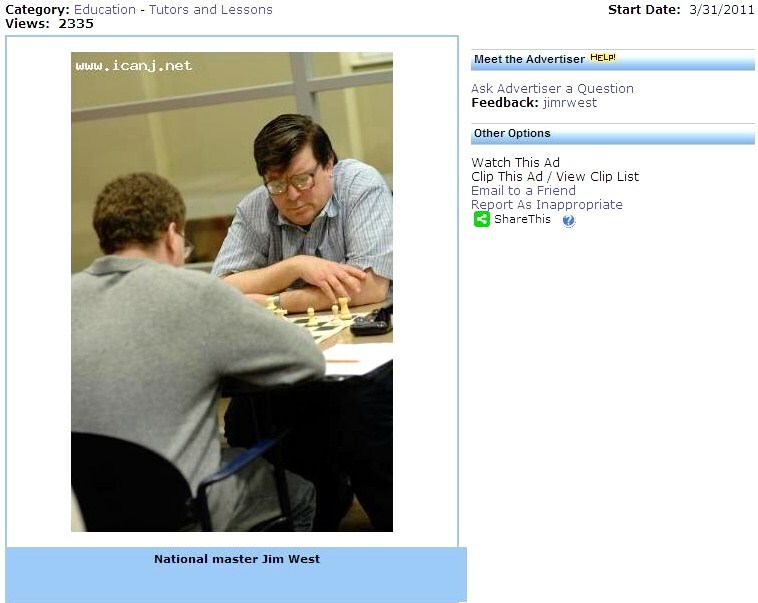 In that instant, I became a chess master! My opponent had set a clever trap. 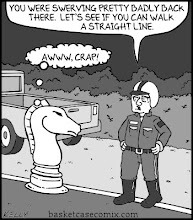 If I made the obvious move, it would cost me a rook. The likely outcome would be a draw, and I would still not make master. As soon as I played the correct move, the 2300 player resigned immediately. He told me that, as early as move 31, he had seen the trap at move 37. But he felt that I would never fall into it, unless I played too quickly. Since I had plenty of time on my clock, his only chance was that I would blunder in his time pressure. It nearly worked! At yesterday's Westfield quads, I drew this game with the PCG. 28.h3 f5 29.Nb3 Bb6 30.Nc1 d4 31.Rhg1 Rh2 32.Rh1 d3+ 33.Kd1 Rg2 34.Rhg1 Rh2 35.Rh1 Rg2 36.Rhg1, draw. Yesterday, at the Hamilton quads, I drew a couple of games. 67.Kxf4 Rc3 68.Ke4 Rxb3 69.Kd4 Rxb4+ 70.Kc3 Rh4 71.Rd3 Kb5 72.Kb3, draw. 51.Kg3 Be6 52.Kf4 c4 53.Bd1 Rc6 54.Bf3 Rb6 55.Bd1 Rc6 56.Bf3 Rb6, draw. During Sunday's quads in Westfield, I snapped these photos. Kopiecki - West @ "Contre Gambit Philidor"
Frederic Fournier provides a link, at Contre Gambit Philidor, to my game as Black against Ed Kopiecki. 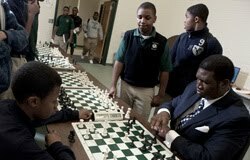 The grand opening of Chess Mates in Rahway, originally scheduled for March 1st, has been tentatively rescheduled for June 1st. In 1980, at the Westfield YMHA, I played in a quad with two other humans and one computer. It was Belle, winner of the 1980 world computer chess championship. Going into the final round of the quad, Belle and I had two points each. I lost the coin toss and played Black. The game ended in a hard-fought draw, with me being down two pawns but I had doubled rooks on the seventh rank. The computer's programmer Ken Thompson offered the draw, and I accepted. Today I have difficulty drawing against the Fritz8 software program, which tells you that computer chess has advanced a long way since 1980. 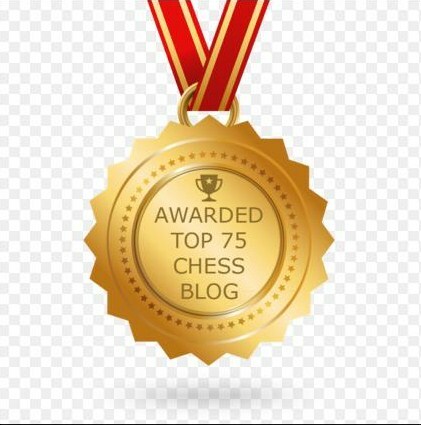 Here is an article Can We Solve Chess One Day? that features Ken Thompson and IM Ken Regan. 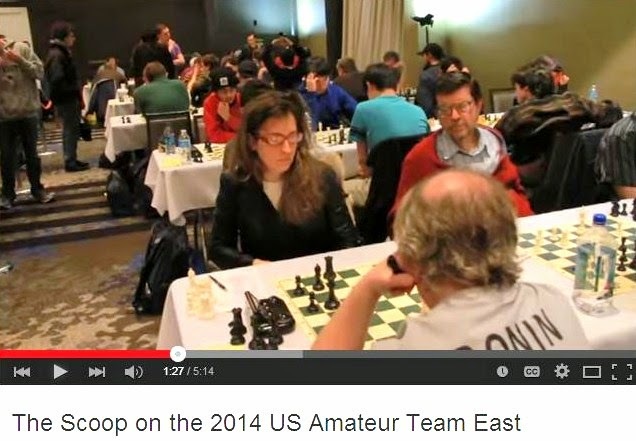 During last night's fundraiser for the Karpov 2010 campaign at the Trump SoHo hotel, GM Magnus Carlsen played a blitz game of chess against IM Dean Ippolito of New Jersey, as seen in this video. In Sunday's quads at Westfield, I drew this game. 72.Kf5 Rxb4 73.Ke5 Kd7 74.Rh7+ Kd8 75.Kxd5 Rb6 76.Ke5 Ra6 77.d5 Rb6 78.d6 Rb1, draw. 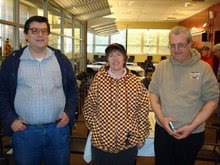 In Saturday's game/60 Swiss tournament, at the Marshall Chess Club, I finished with a score of 3-1-0. 46.Ne6 Qc3+ 47.Kg2 Qe5 48.Ng7+ Kd8 49.Rf8+ Kc7 50.Rf7+ Kb6, White forfeits. 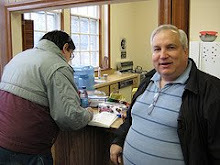 Tomorrow's Grandmaster Challenge tournament, at the Marshall Chess Club, has been cancelled. 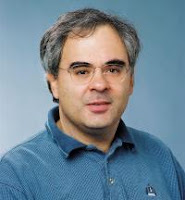 Alejandro Melchor [pictured above], of Barcelona, discusses a new move in the Latvian Gambit. One way to satisfy your hunger for chess is to use pieces made of chocolate, as seen on the May 4th episode of Little Chocolatiers. Yesterday, Viswanathan Anand won the twelfth and final game of his world championship match against Veselin Topalov. Anand retains the title, winning the match by one point. On Saturday, May 15th, the South Jersey Open 2010 will be held at the Holiday Inn in Cherry Hill. Here are the pre-registered players. 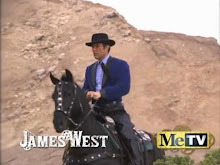 Wu - West @ "Contre Gambit Philidor"